2018 was a testing year for the blockchain world. Blockchain struggled to find any kind of reasonable adoption in the enterprise, except for pilots. While the use case for virtual currency is still up for debate, the underneath blockchain technology has risen to be one of the major innovations in recent years. According to tech experts, blockchain will solve a multitude of challenges faced by enterprises across legacy systems and create a more transparent ecosystem. IDG Media talks with technology leaders to understand where blockchain is headed in 2019. Will 2019 be the year of blockchain implementation? Companies are exploring various applications of the distributed ledger technology across the wide spectrum of verticals. An IDC report states that the total spending on blockchain projects will hit the USD 11.7 billion mark in 2022, compared to 1.5 billion USD in 2018. "2019 will be the year when companies work together towards deriving a deeper potential that blockchain has to offer across industry applications. As the number of companies trialing the technology increase, ensuring security and stability of blockchain will be paramount to its success," says Sanjay Agrawal, Technology Head, Hitachi Vantara. Sanjeev Narsipur, MD – Blockchain, Accenture Advanced Technology Centers, shares that enterprises will get ready for pilot blockchain implementations in 2019, with more traction in supply chain, digital identity and financial services domains. “Interoperability among blockchain platforms will be one of the top focus areas for enterprise technology professionals and industry analysts. The future of the distributed internet will be dependent on the ability of blockchain networks to recognize and interact with one another," he points out. 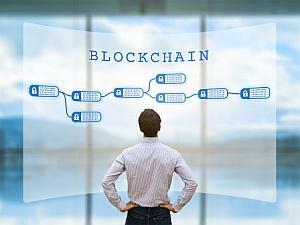 Experts state that blockchain can serve as the base technology for self-sovereign digital identities, which are secure and free from misuse of personal data. The capacity to check user identities and grant ownership online is a key empowering agent for sectors such as e-commerce. Bharani Subramaniam, market tech principal, India & Europe at ThoughtWorks, mentions that enterprises are already adopting the blockchain ecosystem when it comes to their core transactional layer. “With respect to transactional digital identities, the implementation of self-sovereign identity based on the distributed ledger technology will benefit from better tooling. This will allow the market to adopt the digital revolution at scale," he adds. 2019 will also see the combination of blockchain, internet of things (IoT) and AI, which will empower enterprises to expand the advantages of these innovations, while limiting the downsides associated with these technologies. As IoT systems include a horde of interlinked devices, there are various vulnerabilities that can be found in the system, exposing them to cyber-attacks. The security of IT systems spread across complex supply chains can be improved by blockchain, as it can restrict illegitimate user access and enhance the provenance of device data. Sanjeev Narsipur from Accenture explains that convergence of AI, blockchain and IoT will become a differentiator for organizations globally and increase digital disruption. “Blockchain will supercharge artificial intelligence and IoT to make everything from supply chains to digital identity management smarter and more secure. Blockchain can act as a ‘System of Trust’ and unlock multiple opportunities along with the advancements in other digital technologies,” Narsipur adds. In 2019, blockchain consortia will concentrate on establishing proposed standards across existing popular blockchain frameworks such as Ethereum, IBM Hyperledger, Corda, Quorum, according to blockchain technology leads. "Ethereum, IBM Hyperledger, Corda and Quorum are the dominant blockchain platforms now and we believe it is still early for any consolidation among blockchain platform providers,” states Raman Sapra, Executive VP and General Manager - Digital, Sasken. Focus on standardization led by alliances such as Blockchain in Transport Alliance (BiTA) and Enterprise Ethereum Alliance (EEA) will gather momentum in 2019. In a nutshell, this is the right time to be in digital transformation services leveraging blockchain, he adds. IT leaders highlight that 2019 will see clarity in regulations related to both private and public blockchain systems. Similarly, clarity in corporate governance with a definitive control is important. The administration of blockchain should not lead to clashing interests, which is a major challenge that needs to be addressed. Padmanabhan Iyer, Managing Director & Global CEO, 3i Infotech, confirms that blockchain adoption will depend on regulatory concerns being addressed. “The government and the regulators should take an active role in making this happen. In certain countries, we are already seeing action in this space, whereas most are yet to take the next step forward," he adds.